A wrongly convicted murderer exacts a flawless plan of revenge. Headlights in a rear-view mirror tail a female traveler on a lonely stretch of road. A serial bride secures her future by marrying only the wealthiest of men. An escaped Iraqi with a price on his head pays an involuntary visit to his homeland. A brush with death proves the biggest break of an aspiring artist's career. Two strangers, struck by lust-at-first-sight, consider a myriad of possibilities for where the day will take them. 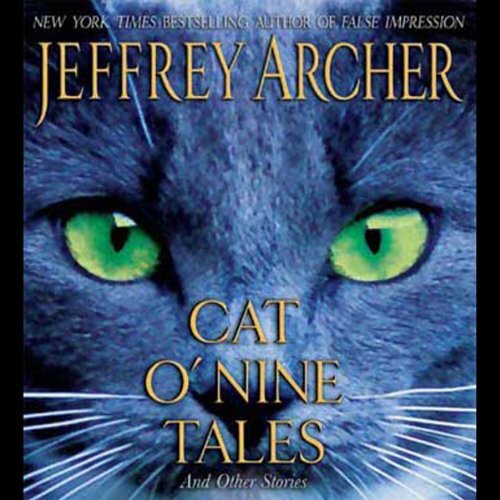 Cat O'Nine Tales is the fifth collection of irresistible short stories from the master storyteller. 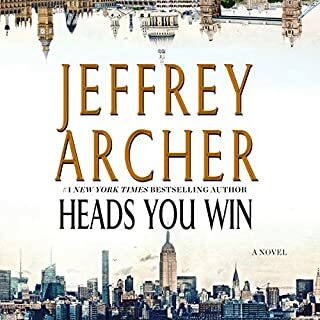 Ingeniously plotted, with richly drawn characters and Jeffrey Archer's trademark unexpected conclusions, some of these 13 stories were inspired by the two years he spent in prison, including the story of a company chairman who tries to poison his wife while on a trip to St. Petersburg - with unexpected consequences. "The Red King" is a tale about a con man who discovers that an English Lord requires one more chess piece to complete a set that would be worth a fortune. 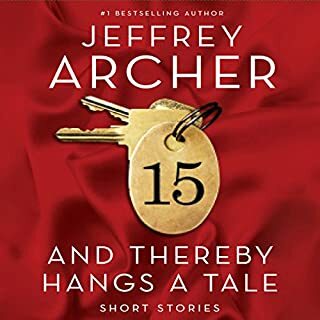 In another tale of deception, "The Commissioner", a Bombay con artist ends up in the morgue, after he uses the police chief as bait in his latest scam. "The Perfect Murder" reveals how a convict manages to remove an old enemy while he's locked up in jail, and then set up two prison officers as his alibi. In "Charity Begins at Home", an accountant realizes he has achieved nothing in his life, and sets out to make a fortune before he retires. 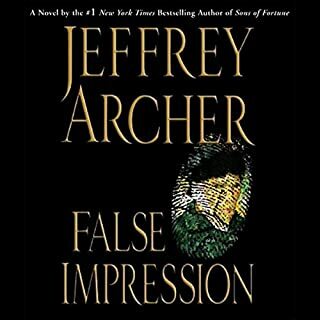 And then there is Archer's favorite, "In the Eye of the Beholder", in which a handsome star athlete falls in love with a 300-pound woman...who happens to be the ninth richest woman in Italy. 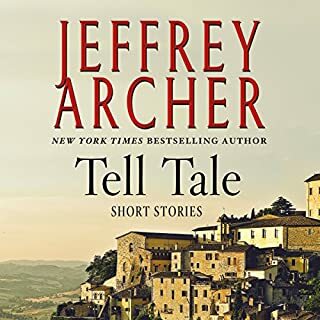 I don't usually like to listen to short stories, but these aren't really short short and they are marvelously engaging, always with a twist at the end. Thoroughly enjoyable listening, and well read. And enjoyable. Stories were like a couple chapters. Towards the end the stories change up which was nice. If you could sum up Cat O' Nine Tales in three words, what would they be? What was one of the most memorable moments of Cat O' Nine Tales? In the story, "Don't Drink the Water", the ending was quite unexpected, but very satisfying to have a man who was murdering his wife, get caught in his own trap. Lesser has a pleasing voice and reads well. If you could take any character from Cat O' Nine Tales out to dinner, who would it be and why? Several stories have a narrator who is in the first person, not identified by name, and relates a story from his prison cell. He would make a grand dinner companion. I listened to these stories while making an 800-mile road trip. My route went through fairly deserted deserts in New Mexico. The stories made the miles fly. 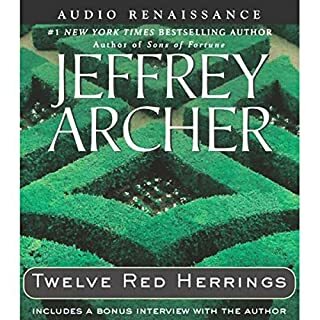 I normally love Archer's short stories but these weren't as clever and I found my attention wavering and had to rewind them several times. Listen to the other collections instead. 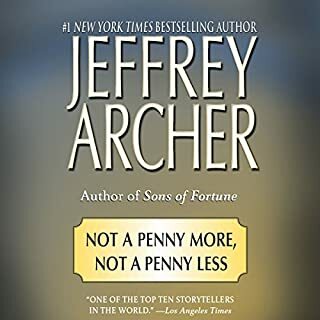 Would you ever listen to anything by Jeffrey Archer again? What character would you cut from Cat O' Nine Tales?